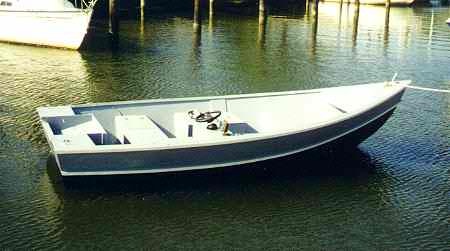 Enclosed is a shot of the boat I just finished. I used the plans for your Wee Hunk dory. As you can see I made some changes and the boat looks great.